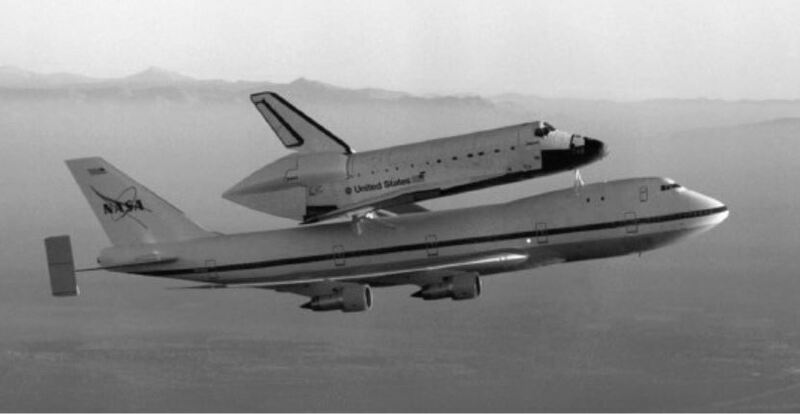 Could the Shuttle Carrier Aircraft do a transatlantic flight with a Space Shuttle orbiter on its back? Some of the STS backup landing sites were in Europe. Of course, The STS would actually have to fly there only in case of extreme emergency, so the number one priority was just to save the lives of the crew members. 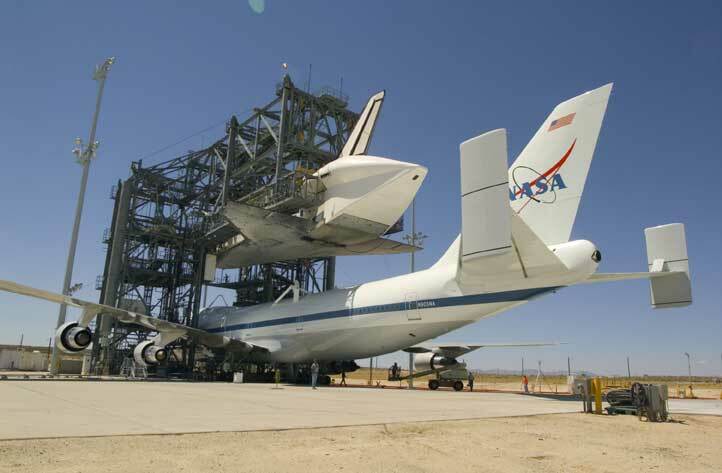 However, did NASA have a plan, or would it be doable to airlift the Space Shuttle atop an the Shuttle Carrier Aircraft like on this picture? I'm especially curious about the range penalty induced by the additional drag of piggybacking the orbiter. Picture credits: NASA / Carla Thomas, Public domain. A procedure had been established to return from a Transoceanic Abort Landing (TAL) site to the Kennedy Space Center (KSC) using the Shuttle Carrier Aircraft (SCA). The orbiter had to be modified prior to being mated to remove some weight, as the maximum weight that could be ferried from Europe was approx. 87,000 kg. The range of the SCA was 1,000 nautical miles (with reserves) when mated, and the maximum range unmated was 5,500 nautical miles. The SCA might have stopped in UK, Iceland, Greenland, and Canada. A tailcone covering the 3 aft engines and the thrusters was used to reduce the drag and the buffeting on the SCA vertical stabilizers. It also protected the engine nozzles from being damaged in flight. Still, 4,500 NM were lost by carrying the orbiter. If you are interested in the details, then the (huge) answer below is for you. C+18: JTF-DDMS staff coordinates with NASA for ferry flight route support. C+22: JTF-DDMS staff presents initial ferry flight support plan to NASA management. C+53: Pathfinder and SCA arrive at landing site. Slides explaining the DOD plan are also available. Each TAL site is covered by a separate international agreement. 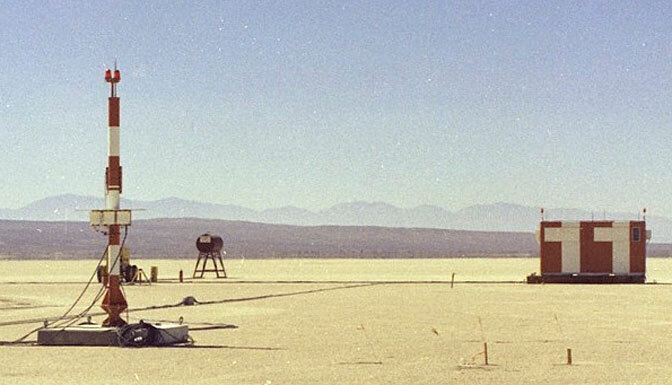 The TAL sites are referred to as augmented sites because they are equipped with space shuttle-unique landing aids and are staffed with NASA, contractor and Department of Defense personnel during a launch and contingency landing. The TAL site ground operations manager would initially be in charge until relieved by a higher-ranking management official who would arrive on the response/investigation team aircraft. Within 24 hours, the response/investigation teams would arrive at the TAL site aboard C-17 aircraft carrying personnel and equipment. Most of the equipment would come from Kennedy Space Center and Dryden Flight Research Center in California. Payloads and/or airborne support equipment will remain onboard the orbiter for the flight back to Kennedy Space Center unless the capability of the shuttle carrier aircraft, landing site location or other requirements dictate other wise. Maximum gross landing weight, 600,000 lbs (272,160 kg). The ferry weight from contingency landing sites in Europe and Africa is constrained to approx. 192,000 Ibs. (approx. 87,000 kg). The ferry weight from the Pacific contingency landing sites is further constrained to 154,000 Ibs. (approx. 70,000 kg). This requires not only removal of the payload but removal of Orbiter main engines, tires, landing gear and other components as well. In addition, the Orbiter Z axis (vertical) and X axis (longitudinal) center of gravity location must be within a limited envelope, as shown in Figure 1. A typical route might take the pair from continental Europe to England, then on to Iceland, then Canada, and finally to the United States. Photo gallery of Discovery mating at Edwards and demating at KSC (STS-114). 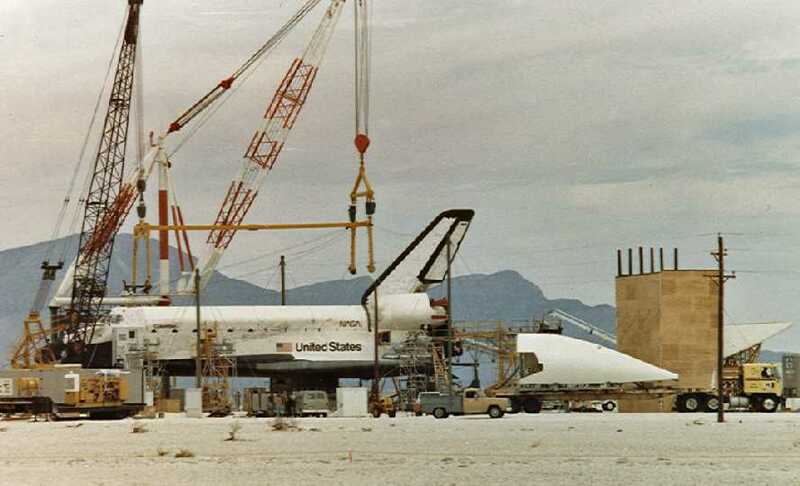 Columbia being prepared at White Sands. Photo by Steve Schmidt. 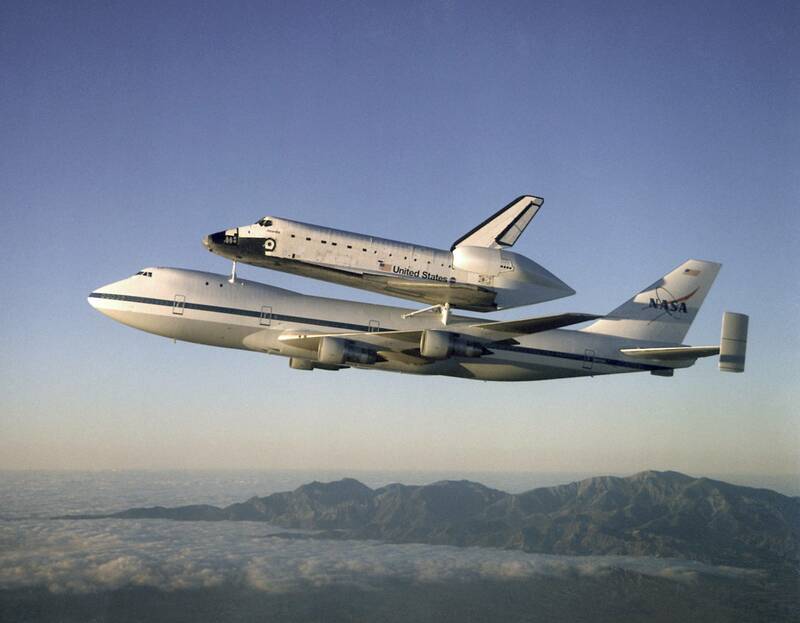 From Nasa Fact, Shuttle Carrier Aircraft. NASA 905: Obtained from American Airlines in 1974. NASA 911: obtained from Japan Airlines in 1989. They were B747-100 and B747-100SR, modified by Boeing into their SCA configuration. They were engined by four Pratt and Whitney JT9D-7J, and had a fuel capacity of 316,307 lbs (143,477 kg). Yes, it was possible and NASA had a plan. Enterprise was taken on a European tour in 1983, visiting the UK, France, Germany and Italy. To get there, it crossed the Atlantic on the back of the Shuttle Carrier Aircraft (the converted 747). According to Slate, the range of the SCA was about 1,000 nautical miles so it made refuelling stops at Goose Bay and Keflavik on its way to London Stansted. Payloads and/or airborne support equipment will remain onboard the orbiter for the flight back to Kennedy Space Center unless the capability of the shuttle carrier aircraft, landing site location or other requirements dictate otherwise. The document also details the procedure to be followed in case the TAL is to be used. TAL sites were 'activated' prior to launch and a C-130 was kept on standby for evacuation and emergencies. Not the answer you're looking for? Browse other questions tagged drag range transatlantic transport-category space-shuttle or ask your own question. What are the trim settings on ferried aircraft? How many B747s SCA does NASA have? What is the fastest possible transatlantic flight today? 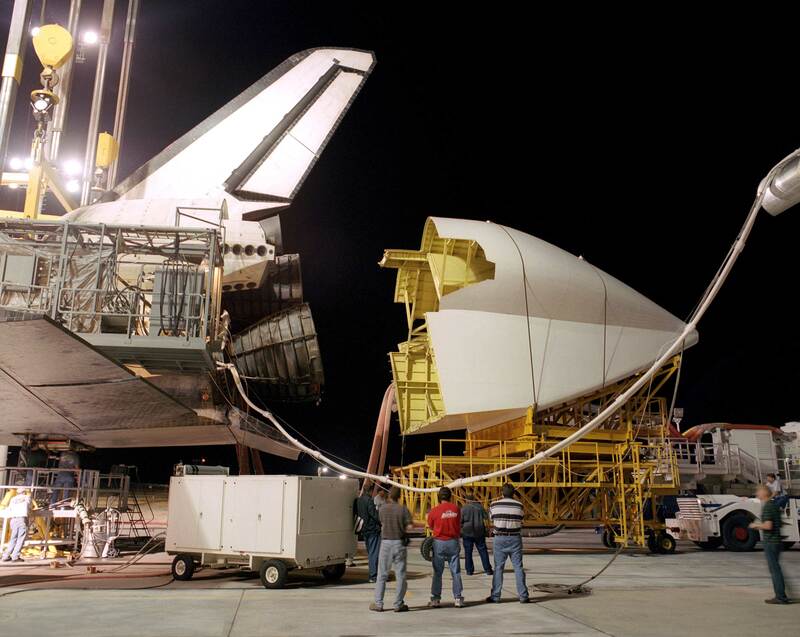 Did the Space Shuttle boat tail used in the transport configuration save fuel? Was the Shuttle Orbiter in contact with air traffic control during its descent & landing? Was the Space Shuttle landing sequence executed manually or automatically? What's the point of using T-38 to instill flight proficiency in Space Shuttle pilots? What pilot certificates were needed to fly the Space Shuttle? Did the space shuttle have a stall warning system (such as a stick shaker)? Why would landing the space shuttle on water have been unsurvivable? Why didn’t the space shuttle have flight control manual-reversion capability? How close to the White House did the Space Shuttle Discovery “fly”?